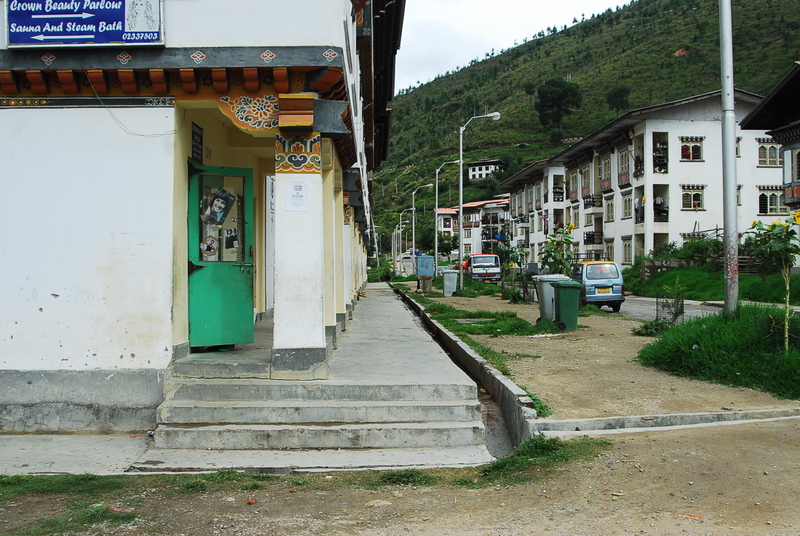 One of the tell-tale signs that you are in a municipal zone in Bhutan, is the arcade walkway that fronts every commercial building. Architecturally speaking, the arcade is a walkway set behind a row of columns or arches allowing pedestrians to walk under the protection from both the sun and rain. 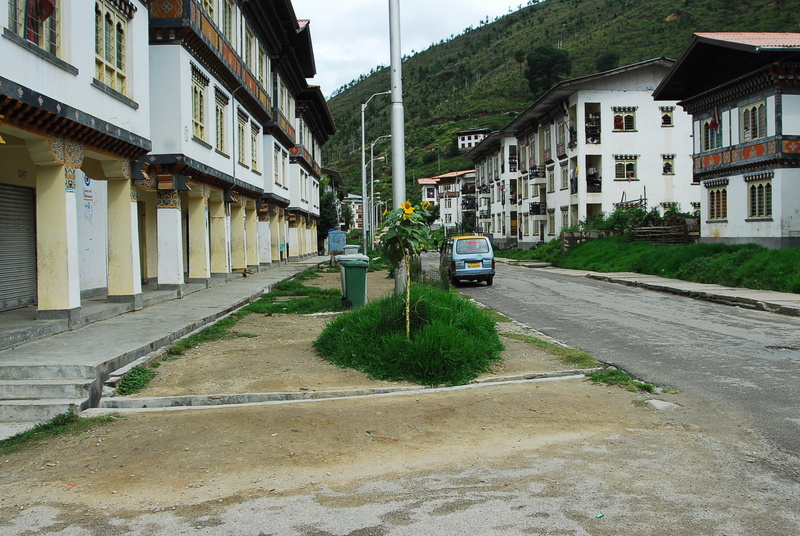 The arcade concept was adopted in Bhutan a few decades ago in Thimphu when the first building control regulations came up. The idea was good and there were plenty of good precedents from abroad. Many decades later, we are not so sure any more. At least I’m not. We now have to compare not with what would’ve been, but what the arcade has become now. A waste of space. First of all, the arcade width of 1.5m was probably a requirement made in the 1980s when only 2 & 3 storeys were permitted. Decades later, with the new limit set at 6 storeys and much higher seismic standards, the column sizes have increased dramatically, leaving a aisle width that does not even meet the building code’s own requirements. The arcades of adjacent buildings, as a rule it seems, also do not link with each other thus losing their pedestrian function. There is no continuous cover overhead, and no continuous footpath below. Most often, the arcade ends in an ankle breaking drop. Not surprisingly, the arcade has found no purpose as far as pedestrian convenience is concerned. Shopkeepers have gradually claimed it as display space. The idea of arcades for walking is questionable also because the planners have kept another space outside the arcade that is at least 3-5m wide and serving no purpose whatsoever. There are some electric poles, some doma-stained dustbins and usually a lot of trash. What is objectionable is not what has happened in the past but that it is continuing mindlessly. Valuable space continues to be wasted and worse, it is at the expense of other needed facilities. For example, the actual roads are too narrow for 2 lanes plus parking. And we all know people will park at their convenience even if the space is right. Commuters find themselves either cursing whenever a motorist suddenly parks in front of them on the middle of the lane, or when the RSTA does something about it by making the road a one-way lane, forcing drivers to triple the distance. So the arcades of urban Bhutan seem to symbolize somebody’s vision of Arcadia, the utopian ideal, that has no bearing on our reality.